We are proud to announce that we are working in Partnership with Herts for Learning to provide audio visual solutions to schools across Hertfordshire. Herts for Learning are the largest school company in the UK, with over 520 school shareholders, who are dedicated to improving education for young people in Hertfordshire and beyond. They are committed to be providing evolving services, resources and products to help the schools they work with to deliver a great education. Herts for Learning (HfL) are proud to be working in partnership with Proactive AV, a long established audio visual company with a proud service record of supporting schools in Hertfordshire. Schools can have the confidence that HfL have undertaken quality assurance in relation to insurance, financial and DBS checks. 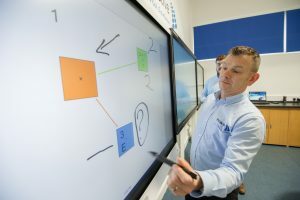 Proactive AV supply audio visual solutions to suit all Early Years settings, schools, colleges and academy needs. 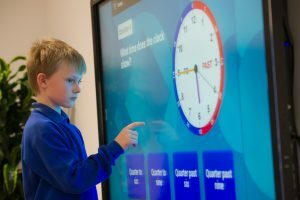 They work with brand leading equipment and are accredited partners of SMART, Clevertouch, Promethean and BenQ.